Abraham was a foreigner and was looking for a place to bury his wife. Strangers offered to help him because he as “a mighty prince,” and they respected him. Although Abraham had not established roots in the area, his reputation was above reproach. Those who invest their time and money in serving God often earn a pleasant return on their investment- a good reputation and respect for others. After this, Abraham buried Sarah his wife in the cave of the field of Machpelah facing Mamre (that is, Hebron) in the land of Canaan. The field and the cave that is in it passed from the Hittites into Abraham’s possession as a burying place. 1 Sarah lived one hundred twenty-seven years; this was the length of Sarah’s life. 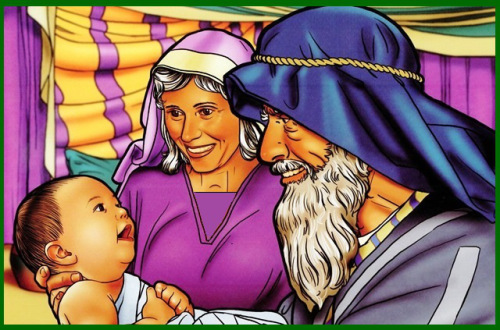 2 And Sarah died at Kiriath-arba (that is, Hebron) in the land of Canaan; and Abraham went in to mourn for Sarah and to weep for her. 7 Abraham rose and bowed to the Hittites, the people of the land. 12 Then Abraham bowed down before the people of the land. 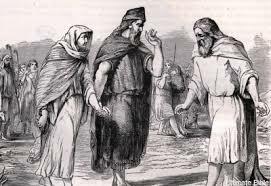 16 Abraham agreed with Ephron; and Abraham weighed out for Ephron the silver that he had named in the hearing of the Hittites, four hundred shekels of silver, according to the weights current among the merchants. 18 to Abraham as a possession in the presence of the Hittites, in the presence of all who went in at the gate of his city. 19 After this, Abraham buried Sarah his wife in the cave of the field of Machpelah facing Mamre (that is, Hebron) in the land of Canaan. 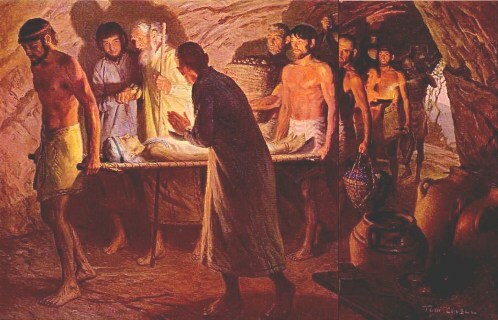 20 The field and the cave that is in it passed from the Hittites into Abraham’s possession as a burying place.